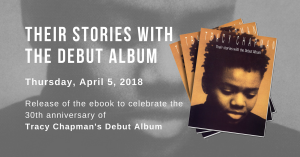 In the 1980s, when popular music reflected the unconstrained self-indulgence that appeared to have displaced the social consciousness of previous eras, Tracy Chapman arrived on the scene with a lyrical conscience. On Thursday night, Chapman began her filled-to-capacity show at Wolf Trap with the same modest authority that marked her debut nearly 15 years ago. Only this time, she was returning, it seemed, as the musical prophet proved true. Outfitted with her signature acoustic guitars and quavering vocal style, Chapman compellingly reintroduced many of the songs that have made her a folk-rock stalwart. On such songs as “Fast Car,” “Crossroads,” “Why?” and “Talkin’ ‘Bout a Revolution,” she still manages without copious displays of vocal acrobatics to present bleak realities with a redemptive melodious tone. Washington Post: An evocative singer and songwriter, Tracy Chapman hit it big with herself-titled debut album in 1988. “Fast Car” and “Talkin About a Revolution” were big hits. Since then her career seems to have had more downs than ups, at least as far as album sales are concerned. Thankfully, Chapman is a steady and reliable performer who seems less concerned with popularity than following her muse. She’s at Wolf Trap Thursday, July 24. www.about-tracy-chapman.net Washblade.com: THURSDAY JULY 24: If you’ve ever dreamed of owning a “fast car” or asked of someone, “give me one reason” to stick around, then you’re obviously a Tracy Chapman fan. In concert as often as Sade, you don’t want to miss the soulful singer that mellowed your mood or made you even more depressed on those lonely nights. The performance is at 8 p.m. Ticket prices are $36 in-house, $22 on the lawn. Wolf Trap Filene Center, 1624 Trap Rd., Vienna Va. 703-255-1900. DEEPNWORDS, 07/26/03: It’s wonderful when you find an artist that is genuinely sincere about their music and matures as a person. When I first saw and heard TC was when she performed Fast Car on some awards show– when she won the grammy or AMA or one of them. All I thought was what a unique voice. Her delivery and passion in her music is evident the moment she delivers the first note. At Wolftrap live she was beautiful, confident and relaxed. She was worth every penny -even with the annoying guy screaming in between each song… Her covers, esp., House of the Rising Sun, needs to be recorded for a live CD. It brought the house down. The best part of the evening for me was to see TC rock. To get in the music so that when it soared she soared. The shy woman on the scene with Fast Car is gone. Now we have the confidant “Dimples” mesmerizing us with still more untapped talent. Which just leaves us wanting more and more…well, at least I do.